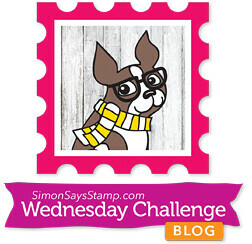 PE: Honorable Mention at Create Something Catchy Challenge! Anyhow.. this time, the main source of inspiration is the Ellen Hutson Color Trend challenge. All pinks and purples.. dull colors. Not my type. But I still did want to try it. I used normal cardstock this time, but this one is a little better for watercoloring than some. I stamped the images from Ellen Hutson Mondo Magnolia using MFT Hybrid black ink and then watercolored them using Distress Inks. Once dry, I added a few splatters in dark green and black, I added the sentiment, which is from Ellent Hutson Totally Random Sayings Vol 1. Then came the embellishments – a mix of gemstones in white and silver sequins. This entry was posted in Card Challenges and tagged #Cards, #CreateSomethingCatchyChallenge, #EHColorTrendChallenge, #EllenHutsonChallenges, #FusionCardChallenge, #HandmadeCards, #SimonSaysStampChallenges, #SSSWednesdayChallenge. Bookmark the permalink. I love the loose watercolors look, Beautiful card ! Thank you Pooja! Glad you liked it! Your watercoloring is awesome! Beautiful card! Those colors!! Beautiful card!! Anyone would be lucky to receive that! That makes me so happy! Thank you so much, Laura!